Jake Watson represents people accused of crimes in state and federal court. He has earned the acquittal of one man who had previously been sentenced to death row. He has also earned the acquittal of two other people charged with capital murder and acquittals in other cases in both state and federal court. Before becoming a lawyer, Mr. Watson was a newspaper reporter and covering a capital murder trial peaked his interest in becoming a criminal defense lawyer. He graduated from Gonzaga University School of Law where he was an associate editor ofGonzaga Law Review. During law school Mr. Watson interned at the Federal Defenders of Eastern Washington and Idaho and in the Federal Capital Habeas Unit in Moscow, Idaho, assisting in death penalty appeals. In 2006, he attended Gerry Spence’s Trial Lawyers College and later attended Mr. Spence’s Death Penalty College. 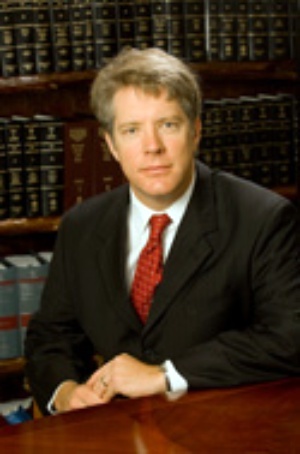 Mr. Watson has served as faculty at Gerry Spence’s Trial Lawyers College. He attended the National Criminal Defense College in Macon, Georgia, and the Clarence Darrow Death Penalty College in Chicago, Illinois. Mr. Watson has been honored by the Alabama Criminal Defense Lawyers Association for his work on capital cases.